South Dakota, Montana, Wyoming, Colorado, and Utah have a lot of dinosaur bones, especially famous ones such as T-rex and Stegosaurus. The Black Hills Institute in Hill City, SD, however, makes the most casts and replicas and sends out the most fossils to other museums. The paleontologists at Black Hills are considered to be the world’s experts in T-rex, though SD’s state dinosaur is the Triceratops. Though the museum is small (it is in the same building that used to house basketball games in Hill City, a town of about 800 people), it was very impressive and jam-packed with fossils. Most of the fossils were real, instead of casts or replicas, and the museum sold actual fossils too. We’ve previously mentioned Black Hills, when we talked about the documentary Dinosaur 13 in our first episode with Pete Larson, president of Black Hills. 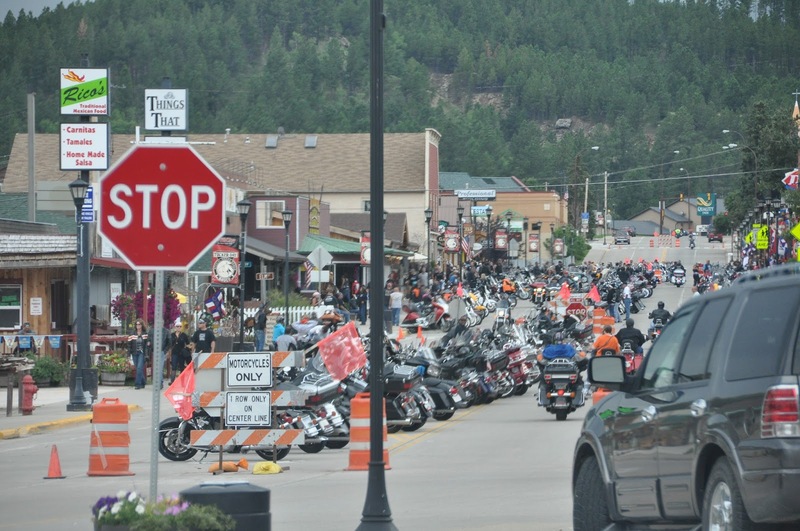 Black Hills is located near Sturgis and Deadwood in the Black Hills of South Dakota, which is best known for Mount Rushmore and Crazy Horse. In addition to fossils, you can see agates, meteorites, and minerals. Examples of non-dinosaur displays include a gem room in the back with a small fan cooling it down, aquatic life such as one huge sea turtle, other ancient life such as dinosaur-like reptiles, and lots of little interesting fossils and displays on the walls and hanging from the ceiling. But the best part is the whole middle of the room. There is a rope around several big impressive dinosaur fossils which are posed in a way devised by Black Hills Institute. The T-rex Stan is the big centerpiece, but there is a Triceratops and lots of other dinosaurs all crammed in together. There is also a map showing just how many T-rex fossils have been found in South Dakota and where they are housed (at least five are currently at Black Hills Institute). The next biggest set seems to be Triceratops (as one paleontologist said, mostly skulls). I believe there is an Acrocanthosaurus as well. Edmontosaurus annectens, “duck-billed dinosaur,” about 65 to 70 million years old. The staff is very friendly and the gift shop is almost as big as the museum, at least in square footage if not height), with some really cool items. The museum is open Monday thru Friday, 8 a.m. to 4:30 p.m.